There's a lot of folks I know who love Android purely for the 'choice'. They don't like to be limited to just one OEM. Even with Android it can feel stifled with the few heavy leaders. Getting something that's 'off the beaten path' from the mainstream devices is very appealing. In the world of Android we have plenty of choices. One of the manufacturers that's been popular is the Asus ZenFone (I really did like the ZenFone 3 Zoom), and Asus has now announced the 4th series starting with the Max 5.5" variant, which is now available in Canada for $299. What do you get for just $300? That's a huge battery, and it can act as a portable charger for your other devices! Check out their press release below for more details and where you can pick it up. Other devices mentioned in the series are the ZenFone 4 and the ZenFone 4 Pro as well as a 5.2" version of the "Max" (more details on those later). 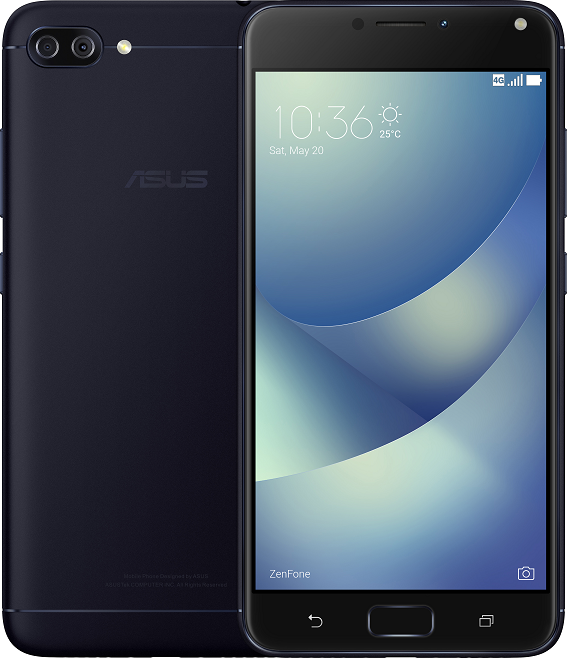 San Francisco, CA (September 11, 2017) — ASUS today announced the launch of ZenFone 4 Series phones in Canada and the United States, starting with the ZenFone 4 Max 5.5”, which is now available for purchase at select Canadian and U.S. retailers. The ZenFone 4 Max 5.5” is part of the ZenFone 4 Series of groundbreaking smartphones that are designed to provide the exceptional mobile photography experiences, and the first and only line of smartphones ever to feature dual rear cameras or dual selfie cameras on every model. ZenFone 4 series, including the ZenFone Max 5.2”, ZenFone 4, and ZenFone 4 Pro, will be available Q4 2017. The ASUS ZenFone 4 Max 5.5” is designed to squeeze even more power out of its 5000mAh high-density lithium-polymer cell. With its powerful battery and energy-efficient processor, the ZenFone 4 Max allows extended use of the phone with up to 46 days of standby time on 4G, 40 hours of VoIP talk time on 3G, 22 hours of 720p video playback, and 26 hours of Wi-Fi web browsing¹. ¹ Standby time measured by current meter with typical battery capacity. Results may vary depending on different test conditions. The ASUS ZenFone 4 Max 5.5” (ZC554KL-S430-3G32G-BK) is immediately available in the U.S. at a MSRP of $199 from the ASUS Store, Abt, Amazon, Best Buy, B&H, Newegg, and other leading retailers.